When I started blogging about Montreal’s amazing food scene a decade ago, one of my inspirations was Happening Gourmand. This month long food festival featuring mouth-watering meals at reduced prices in restaurants throughout Old Montreal is the perfect scene for nightlife lovers like myself. Not only does Happening Gourmand get us out of our houses to shake off those midwinter blues, it also doesn’t break the bank. This year’s edition is already underway and will run until February 3rd, 2019. Once again this year Happening Gourmand will feature set menus at nine locations in Old Montreal, including some of our favourites – Brasserie 701, BEVO, Taverne Gaspar and more (click here for a full list of restaurants). This year prices for menus across the board for both brunch and dinner will be less than $30 which means a lot more bang for your buck! At a special media launch held a little over a week ago a few bloggers, influencers and media personalities gathered near the fireplace at Modavie for a presentation of their menu. We sampled their three course meal featuring cod, lamb and a delicious pasta dish featuring mushrooms and duck confit (believe it’s the star of the show). Modavie is probably the restaurant I know the least out of the lot which is why it was such a treat to finally sit and enjoy a meal in the restaurant. For Igloofest lovers, Happening Gourmand has once again collaborated with the festival to offer tickets at $25 for anyone visiting one of the restaurants during the month. More details on that here. 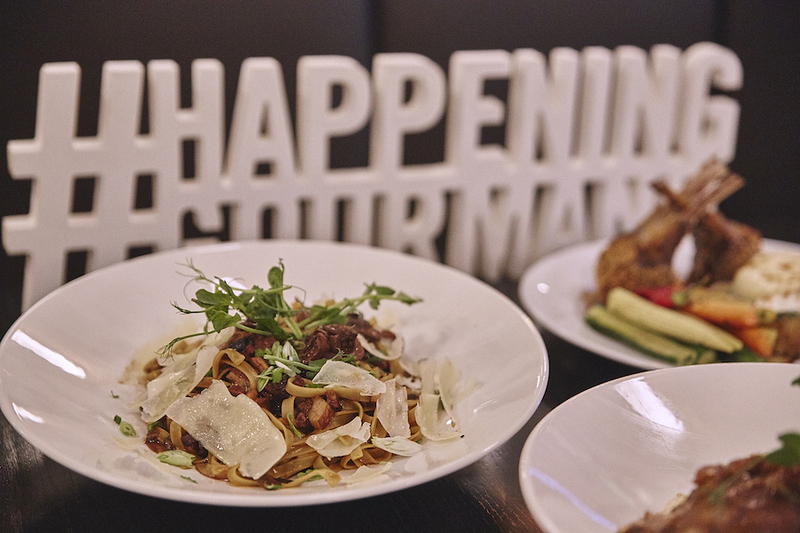 Happening Gourmand has only gained in popularity over the years and reserving early is the best way to guarantee a table!